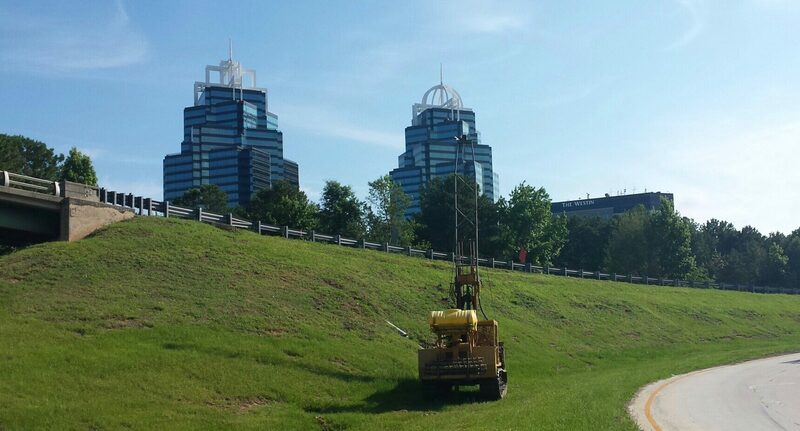 Drilling with a View - Atlanta - Betts Environmental Recovery Inc. This is an ongoing project with the Georgia DOT to be completed by 2020. Betts has been providing site characterization and soil investigation geotechnical services for the past two years. The project will help improve the infrastructure with new ramps, collector and distributor lanes and reconstruction of bridges to help reduce traffic congestion and enhance safety near the i-285/SR 400 interchange in Atlanta. We have had to use truck mounted CME’s, ATV mounted CME’s and geoprobes with GDOT certified automatic SPT hammers based on the surfaces and terrain we encounter. The work has been split by our crews in Atlanta and Adel.